Two recent appearances, two different dresses on Rasika. 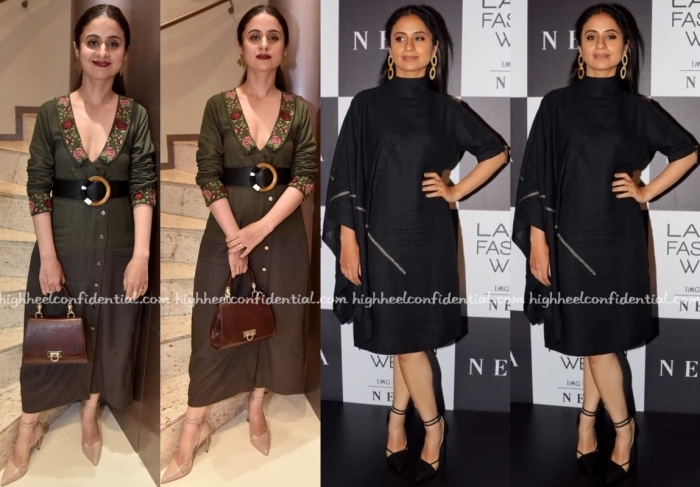 Between the olive Pinnacle one from the store launch and the black Antar-Agni dress which she paired with Eurumme earrings at fashion week, which was your favorite look? I actually like both her looks. Not much to fault, she looks stunning. Despite the décolletage, the first look is very matronly.